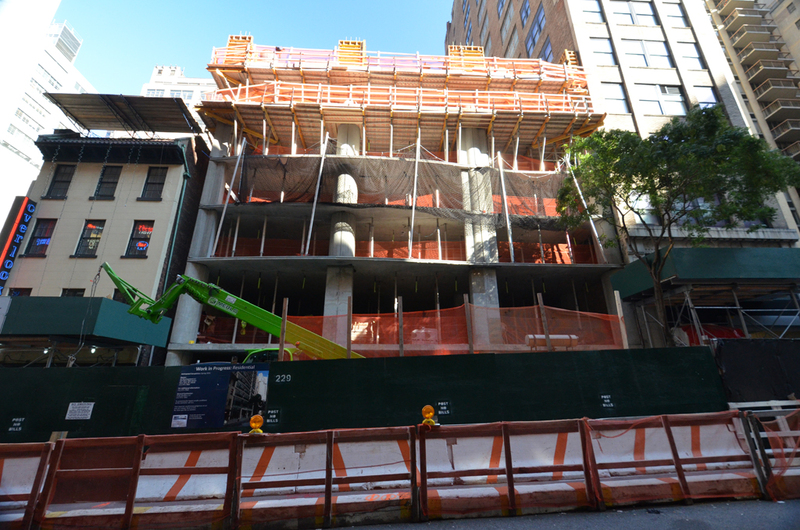 A joint venture between the Republic of Senegal and investor Ron Yeffet of construction company GSR Concrete is looking to bring a 22-story mixed-use tower to a vacant site at 227 East 44th Street. Senegal, which owned the development site outright, transferred a 50 percent interest in the lot to a LLC linked to Yeffet in December for $25 million, according to public records filed with the city today. The new tower would have 20 residential units, plans filed with the city’s Department of Buildings show. Neither Yeffet nor a representative for the Senegalese government could immediately be reached for comment. The site, which is comprised of two parcels at 227-235 East 44th Street, between Second and Third avenues, was previously the subject of a lawsuit between Senegal and investment and development company Glacier Global Partners. Glacier filed suit against Senegal in August, claiming that Senegal backed out of a plan to develop a mixed-use office and residential condominium tower on the site in partnership with Glacier, as The Real Deal reported. Senegal had agreed to contribute the land, while Glacier would pay for the construction and administration costs, as well as secure financing for the project, according to the complaint, which has since been sealed. Glacier would be entitled to first dibs on some of the cash flow generated by the project. The duo had no written agreement beyond a letter of intent, however. Senegal then allegedly went behind Glacier’s back to market the opportunity to other developers in an effort to secure better financial terms for itself. Commercial brokerage Avison Young was tapped to market the joint venture and eventually brokered the partnership deal with Yeffet, the complaint stated. Glacier had sought a judgment from the court declaring that Senegal is contractually bound to the development agreement and compelling the government to transfer the property into a joint venture between Senegal and Glacier. Yaniv Blumenfeld of Glacier told TRD that the dispute had been settled amicably and Glacier had relinquished any claim to the property. Senegal bought the site for $23.9 million in 2009, city property records show. Last edited by EastMillinocket; January 26th, 2014 at 12:05 AM. This is turning out very well. Very nice looking; and if those small triangular platform areas off to the side will serve as small balconies - this is a very clever use of space. If not a balcony; that space will become a pigeon palace. The renderings suggest that those spaces will indeed be balconies. Yes, Just took a look at the "what's happening" construction barrier rendering - there is an indication of 'railings' in that corner section. Very nicely done architectural design: both form and function. So many new projects to follow. Exciting times, and forums such as Wirednewyork, Curbed and particularly YIMBY are a great way to keep abreast of all the new project; including detailed information like that little corner balcony. YIMBY is a must read for me these days: very focused and through coverage on all the new RE developments.